The Pakistan Cricket Board (PCB) has named Sarfaraz Ahmed as the captain for the upcoming International Cricket Council (ICC) Cricket World Cup 2019. The report stated the board has made the decision to squash rumours that started circulating after Sarfaraz’s four-match suspension imposed by the ICC under its Anti-Racism Code. 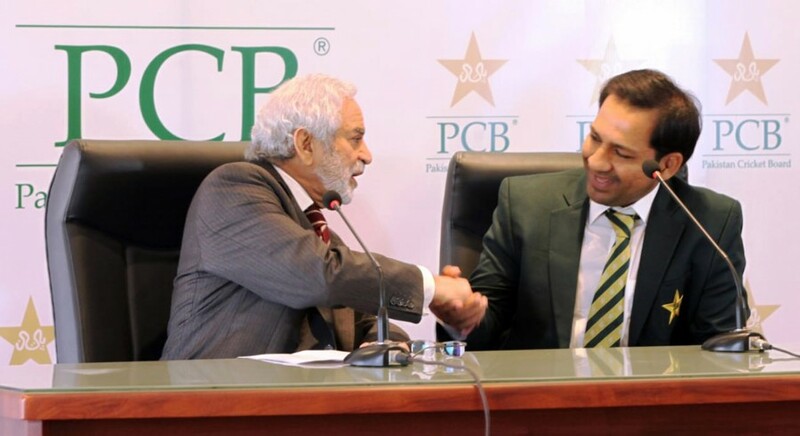 PCB Chairman Ehsan Mani was reportedly never in favour of removing Sarfaraz from the role. However, it was portrayed by different quarters in the cricketing circle that the board want’s veteran all-rounder Shoaib Malik to lead the side in the tournament which is scheduled to begin at the end of May in England. When asked about why Sarfaraz is the ideal choice to captain the side, Mani said that in his opinion, no other player in the team has the quality to replace the wicketkeeper-batsman. Speaking about PCB’s policy to appoint the captain on series-to-series basis, Mani said this practice is followed all over the world. Sarfaraz has been captaining the Men in Green in the 50-over format since Azhar Ali stepped down from the role after series of disappointing results in 2017.